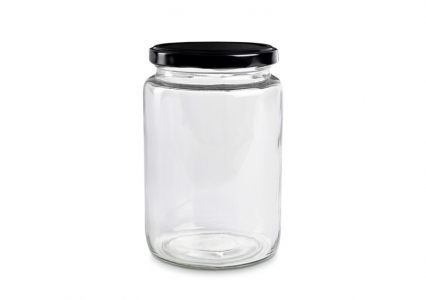 High quality jars, made in Germany. 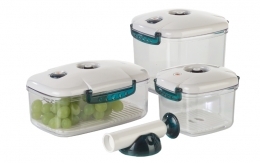 These preserve jars can be easily vacuum packed with the Lava vacuum cover for jars. 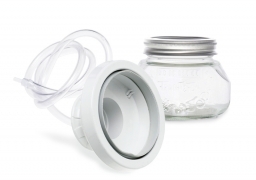 Make a vacuum within seconds and keep your products in these special Lava vacuum jars & glasses much longer fresh. 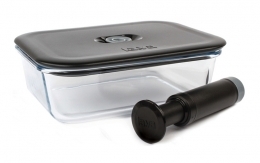 Adjust the Vacuum-Cover and plug it in your Lava Vacuum-Machine, close now the lid of your glass, until it goes a bit harder, then put the Vacuum-Cover on the lid and the machines takes out all the air out of the glass and after a few seconds it is ready. That's it! By the way, ideal for preservation, because then you reach a high vacuum in the glass.